Why did the Church institute the World Day of the Sick? The World Day of the Sick, as specified by Blessed John Paul II in his letter published on 13th May 1992 on the Establishment of the celebration, stems from the awareness that the Church, through "the example of Christ, has always felt over the centuries the duty of service to the sick and the suffering as an integral part of its mission (Dolentium Hominum, 1), "and its disinterested in providing care and comfort to the suffering person" today lives a fundamental part of her mission "(Christifideles Laity, 38). All this keeping in mind "the salvific nature of the offering of suffering which, experienced in communion with Christ, belongs to the essence of redemption" (cf. Redemptoris Missio, 78). Can you explain what is the World Day of the Sick? 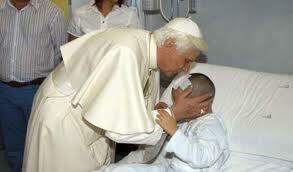 The World Day of the Sick, was also founded by Pope John Paul II more than twenty years ago. I remember that this was also an initiative of my predecessor Cardinal Fiorenzio Angelini who was the first President of the Pontifical Council for the Pastoral Care of Health Care Workers. Once he told me that he wanted to join this World Day of the Sick with the feast of Pentecost. John Paul II after thinking about it for a week or two sent for Cardinal Angelini, and said to him: "Your idea was very good but I'd like to tie this World Day of the Sick with solemnity of Our Lady of Lourdes." And so, the Holy Father John Paul II wished that this day is celebrated every year on February 11th in the world, throughout the Church and now in a very solemn way every three years, such as for the World Day for Youth, and in 2013 we will go to the Marian Shrine of Altotting, one can say it is a sanctuary of Benedict XVI as he desired that this day will take place there. We have already got in touch with the German bishops and their Conference for the preparation of this day, and we believe that the Holy Father will do a great message on that occasion. What was the message that Pope John Paul II has left on suffering? 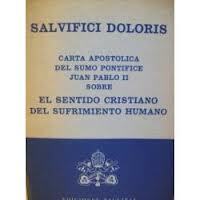 Already in his apostolic letter "Salvifici Doloris", John Paul II recalled that suffering has meaning. 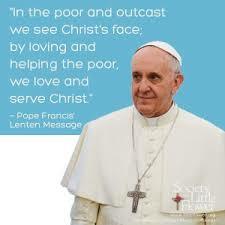 About this we ask why this is a bigger message, because the Holy Father spoke of the suffering? Because he was a man of suffering. Already as a young man, having lost his mother when he was nine years old, lived the Second World War, a terrible war, where he saw so many sufferings. 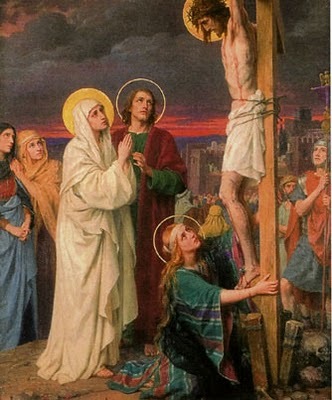 From an early age he experienced this human sensitivity to the suffering, and he knew that suffering in communion with the suffering endured by Jesus Christ had a great meaning. It is the redemptive suffering. 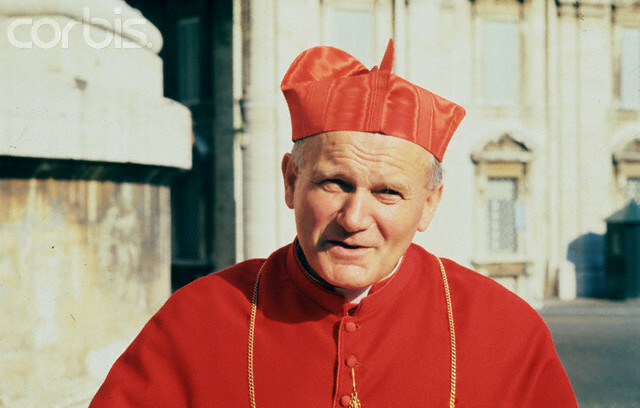 Excellency, what are your memories about Blessed Pope John Paul II? I have many memories about Pope John Paul II. The first time I saw Cardinal Wojtyla was back in 1967. I was already a seminarian and I had the pleasure to introduce myself to him by telling him with joy that I entered the major seminary. He said "We need priests, good priests, holy priests." 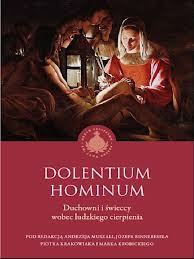 After, I started my studies at the Catholic University of Lublin I noticed his presence there once in a fortnight. We had breakfasts together, we talked together. I am from the Diocese of Tarnow in southern Poland, which belongs to the Metropolitan See of Krakow. He was our Metropolitan Archbishop. 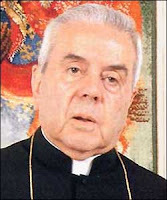 He was a friend of Bishop Jerzy Karol Ablewicz the prelate who ordained me to the priesthood. So many, great memories before and through his papacy. 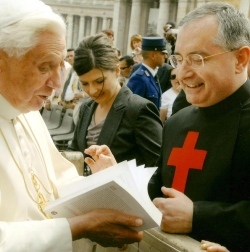 After 1983 I started to work in the Congregation for the Doctrine of the Faith were the Prefect was Cardinal Joseph Ratzinger, the present Pope, Benedict XVI. And I had many opportunities to meet John Paul II thanks to his secretary Monsignor Stanislaw Dsiwisz that used to invite us to attend for lunches, dinners, to talk with John Paul II, especially in the Polish feast days such as on May 3 the feast of the queen of Poland, and May 8th the feast day of St. Stanislaw who was Archbishop of Krakow in the middle ages and martyred by King Boleslaw. These encounters were so beautiful. At times the Pope remained silent, he wanted to listen to us. He wanted to know the different problems that the Church was encountering and in a lot of times he used to discuss these issues with our Prefect, Cardinal Ratzinger. I have to say it, they were two friends. 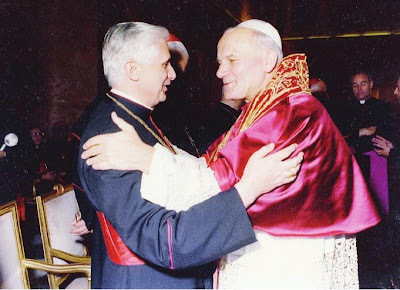 Two great friends, I think from time to time as how could have been the pontificate of John Paul II without the great Cardinal Ratzinger. And how was the life of Cardinal Ratzinger in Rome if it were not to be so close to this holy man. 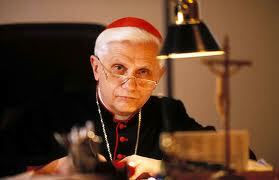 In those twenty three years, Cardinal Ratzinger had time to prepare himself for his future pontificate. How do you consider him? John Paul II was a holy man! And the young people during his pontificate shouted "Santo Subito!" Why he was not a saint after his death? The Pope and other saints were saints during their lifetime. And I remember the words of John Paul II, who said during one of his trips back in 1999 when he visited the diocese of Tarnow. 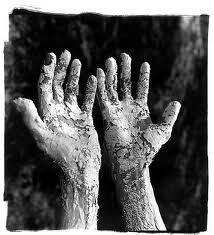 He said: "The saints lived by the saints and they cry for our holiness. You have to do everything for the new century ahead will transform in an era time of the saints! " Can you reveal something to us about your vocation to the priesthood and about your early days in priesthood? “Come, follow me," Jesus said, "and I will make you fishers of men." As I already said about my first meeting with Cardinal Wojtyla certainly it was a sign for me, a visible, tangible one , that has helped me to become a priest. In fact on my ordination card I wrote: "My Lord I will serve You in the sick and suffering." Not knowing that one day I had to be the President of the Pontifical Council for the Pastoral Care of Health Care Workers. As a young priest I was keen to serve the poorest, the sick and I organized the Holy Mass on every first Friday of every month for the sick in their homes. Excellency, for how long have you worked with Cardinal Ratzinger in the CDF? I worked for many years. Do you want to know exactly? So, I, worked with him for nineteen years and fifteen days. It turned also to be a preparatory period for my preparation of my episcopal ordination. And Cardinal Ratzinger ordained me bishop. He came to Radom where for seven years I was the spiritual shepherd of my flock in that wonderful diocese. 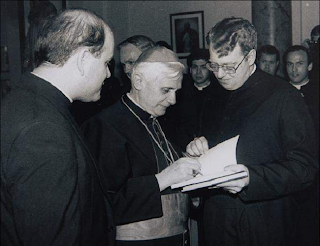 When have you met Cardinal Joseph Ratzinger for the first time? He was not only a theolegian but also a spiritual shepherd! In autumn 1975. The Bishop of Innsbruck, Bishop Paulus Rusch celebrated the his thirtieth anniversary of his episcopal ordination and had invited a theologian, a certain Fr Joseph Ratzinger, the future archbishop of Munich and Freising, to deliver the homily. 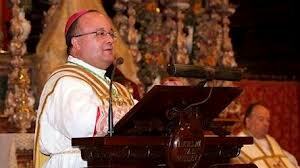 I remember his gestures, I liked his homily, it was so flowing , the faithful listened to him in astonishment. 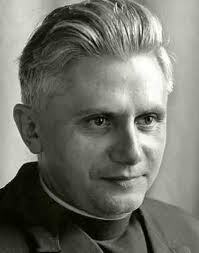 I noted then that Fr Joseph Ratzinger was not only a theologian but also a spiritual shepherd. I saw his humility. And this was my first impression about this gigantic personality which I will treasure forever. Excellency can you tell us some anecdotes on Cardinal Ratzinger? Cardinal Ratzinger visited St. Joseph's Seminary (USA) on Jan. 27, 1988. Maybe I will tell a story that happened in the United States. 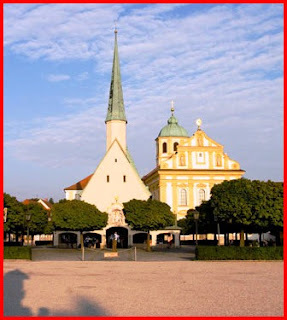 Cardinal Ratzinger was with an American priest and he travelled to the United States. On their arrival in New York, as we know well they had to pass from the passport control. 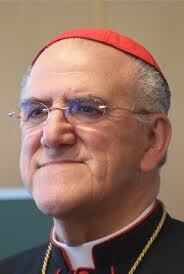 The Cardinal showed his passport but he had no visa on it so that he could be permitted to move in the United States. An immigration officer said to him "But you do not have a visa on your passport." He pulled another German passport but still there was no visa on it. The lady asked what type his trip was "business trip" or "Pleasure trip"? and Cardinal said, "I do not know!" He was there officially as the Prefect of the Congregation for the Doctrine of the Faith. The priest accompanying him, seeing this escalation approached the officer and said to her: "Madam, this prelate is Cardinal Ratzinger, who was invited by the United States Episcopal Conference ." The lady replied: "But he has no visa to move in!" Then, another gentleman intervened and managed to provide a thirty day stay visa to Cardinal Ratzinger. The Cardinal did manage to do all his program in more than a week and at the end when there was the concluding dinner and he was addressing the American bishops he told what had happened to him in the airport: "Now I know what kind of trip mine was in the United States. He said "both, pleasure and business trip." Excellency, how can you compare John Paul II, with Benedict XVI? In an interview that Benedict XVI's delivered on a Polish television station he said something very beautiful about his predecessor. He said, "It 's true that John Paul II has left us but he did not go far away from us." Then he continued: "I feel his closeness so much as if he lifts up my hand." Here one can notice this great friendship between these two Popes and the Papacy of Benedict XVI is different, original but also very connected to touch our hearts his beautiful speeches, so measured and deeply theological. I repeat once again the friendship between these two Popes who have served the Church together for twenty three years. 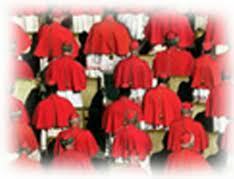 Because Cardinal Ratzinger for twenty three years was Prefect of the Congregation for the Doctrine of the Faith. And the Holy Father John Paul II always used to say that when he was faced by a theological problem he used to channel it to Cardinal Ratzinger to be sorted out. They were two big friends. Then you have also worked with Monsignor Scicluna. What can you say about him? Unfortunately Monsignor Scicluna came to serve in the congregation when I was already in Poland. But I know him very well. He is a man of the Church, a man who loves the Church. From here I would like to cordially greet the Maltese people, people who are so Catholic and John Paul II always admired the Maltese, for they are so near the Church, next to Christ, who love their land, the beautiful Malta. How did you get to know about your episcopal ordination? It was a little of a surprise for me. 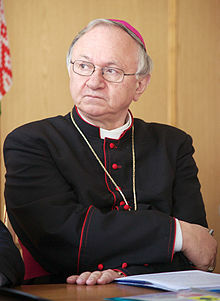 My predecessor, Bishop Jan Chrapek had died in a car accident. We were friends, we studied together at the Catholic University in Lublin, and I got this appointment as a continuation of what my predecessor did in those two years in the Diocese of Radom. I had a bit of fear, even fear, because I had only two years pastoral experience as I only worked in the parish for that period, and afterwards I have always worked in an office in the Roman Curia. 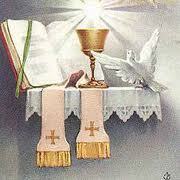 But the grace of God and the Holy Spirit helped me to be close to the my flock. How did you get to know of your appointment as President of the Pontifical Council for the Pastoral Care of Health Care Workers? 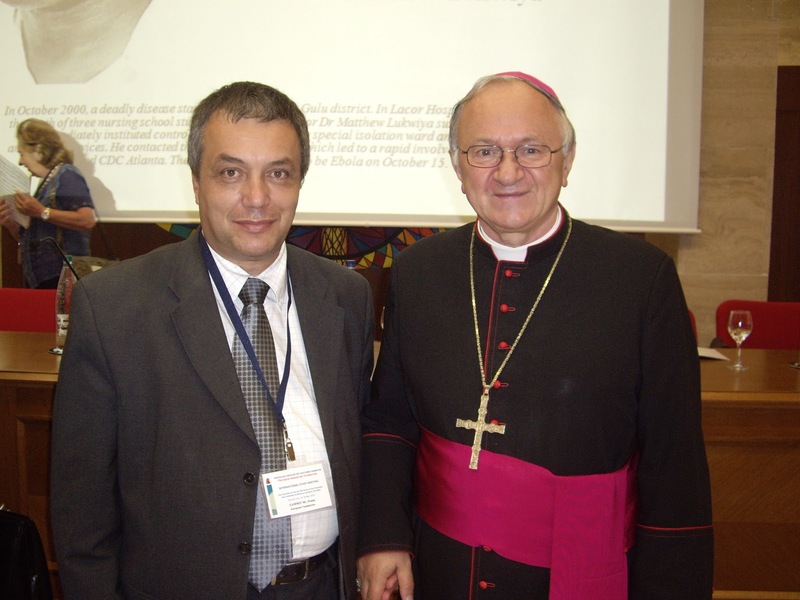 This appointment arrived on April 18th 2009, then seven years after my exit from the Roman Curia when I was appointed as Bishop of Radom. I thought, the Holy Father Benedict XVI has remembered about me. 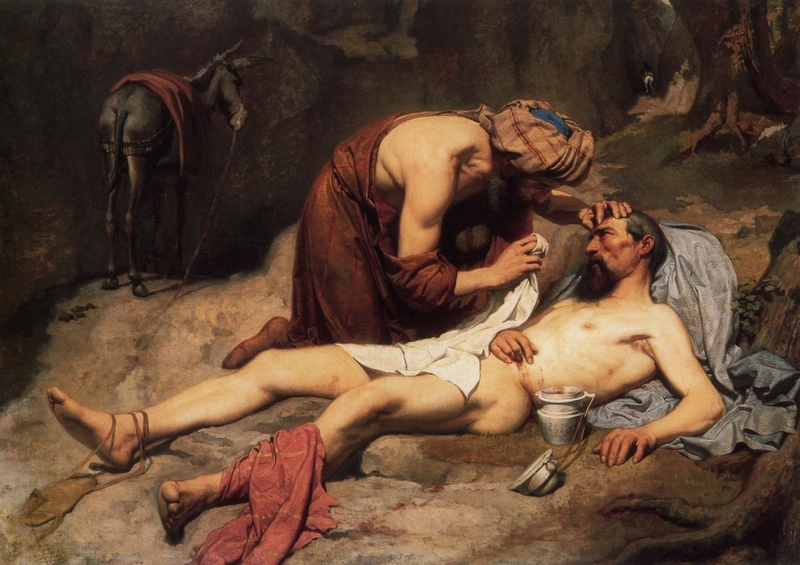 It could be that he heard that as a bishop I did good things for the sick in my diocese and I must say that this appointment has given me great joy, a great satisfaction that I could live with these words that I wrote on my priesthood ordination card : " Lord I am going to serve you in the sick and in suffering. " How is your typical day at the Pontifical Council? A lot of work. In the morning I celebrate Mass with my private secretary, Don Pietro and after breakfast I come here. There are always a number of problems we have to solve, but I do not solve issues by myself. We have a secretary, Monsignor Jean Marie Mupendawatu, and we have a new under-secretary, Father Chendi. 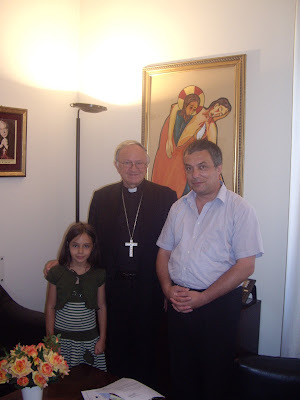 With Father Chendi I worked for several years I think nine years in the Congregation for the Doctrine of the Faith. So there is this harmony, this beautiful collaboration between the three of us. And we have other collaborators who worked here already for some twenty-five years because our Pontifical Council, was founded by John Paul II around twenty six years ago. What are the main objectives for the Pontifical Council for this year. Are they reachable? For this year we have again another conference which deals the healthcare workers as being servants of life in the light of the doctrine that we have received from Blessed Pope John Paul II. 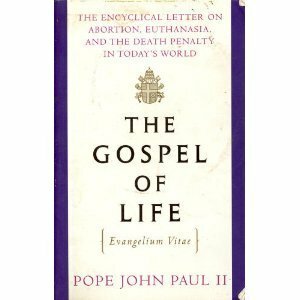 He was an intrepid defender of life and a great Marian Pope as we have already mentioned earlier. What specific binding unites Mary to the world of suffering? What can the Pontifical Council do for the Promotion of the culture of life and good health? I would start with the quote, a few words of the Blessed Pope John Paul II, taken from his encyclical Evangelium Vitae: "Man's life comes from God, it is his gift, his image and imprint, a sharing in his breath of life. Of this life, God therefore is the sole Lord: man can not dispose of it. God himself makes this clear to Noah after the flood: "I ​​will ask the life of man to man, in regard to his brother '" (Genesis , 9, 5). The biblical text is concerned to emphasize how the sacredness of life has its foundation in God and in his creative work. To promote a genuine culture of health need to develop a correct anthropology that does not stop the good and the health of the body, but rather talk to a human person, in its entirety and in his somatic-spiritual unity. Our Pontifical Council has been enriched for many years with a document, equivalent to Magna Carta for health care workers, also known as "servants of life." To guide them in their mission there is the redemption of Christ and his saving grace "reach the whole man in his human condition and thus in disease, suffering and death" (John Paul II, Apostolic Letter Salvifici Doloris, n . 2). 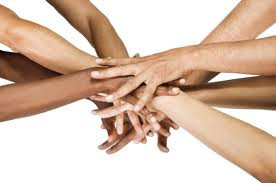 Speaking of health culture means, in the words of Cardinal Fiorenzo Angelini, "consider it a primary value is inextricably linked to the value of life, of all life and the life of everyone." What is the main role of your Pontifical Council in today's world? The coordination of all this work and we even talk to the local churches about the problems in health care sector. We have very good connections with the local Churches that are delegated by the bishops through their Episcopal Conferences for this pastoral work in the healthcare sector. The world is still facing major health problems (HIV / AIDS, Leprosy) at the same time that world leaders are still investing heavily in warfare. What can you comment? More money for warfare, less for medical research! Unfortunately! We really want to do so much for the sick and we know that there are many, many problems, different problems in Europe, a number of problems in Africa. Last year we held a three-day conference in November where we dealt with the important theme for the treatment of patients in the most adequate and humanely way. So we want every man has this ability to heal and unfortunately in African countries this problem is not yet resolved. The World needs to channel more funds for medical equipment for doctors, medicines for patients and less money for warfare. We must always pray for world peace. We must realize the theme of this conference for the care of the sick in a more equitable and human way. Is the world's solidarity lacking? By whom? It is lacking very much and I am proud that this word 'solidarity' originated from my country, Poland the country of John Paul II and this word is also spoken very often by the present Pope Benedict XVI especially in his last encyclical Caritas in Veritate. What was your best day in this Pontifical Council from the time of your appointment? 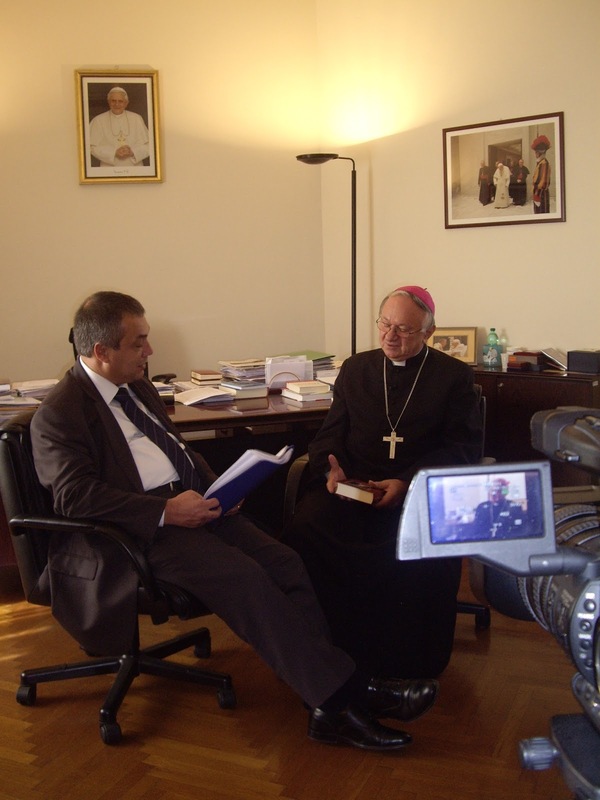 It was the 25th anniversary of the foundation of the Pontifical Council. We invited our first president, Cardinal Angelini, also Cardinal Lozano Barragan who was the second President and we had the celebration of Mass with the present Pope Benedict XVI. There were many sick, all that suffering and on the evening of February 11th we recited the Holy Rosary at St. Peter's Square. The Holy Father came out from the window of his private apartment in the Apostolic Palace and gave us his blessing. This was an immense joy despite the cold that was in that winter day. Your predecessors who led this Pontifical Council were members of the Sacred College. Excellency, does this "Red risk" exists for you? I don't know, it does not depend on me ... depends on the Holy Father Benedict XVI and on the cardinals. If someday it will happen it will not be for me but for the Pontifical Council for the Pastoral Care of Health Care Workers.